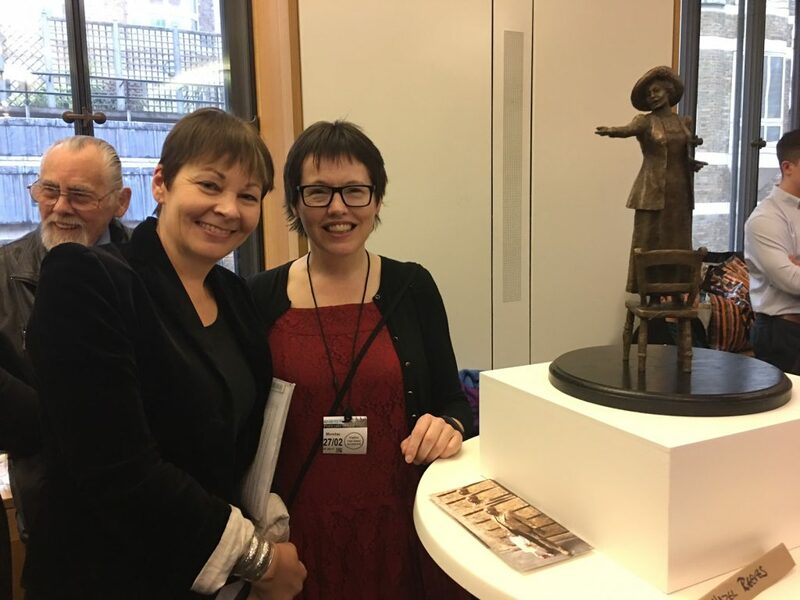 The unveiling at the Houses of Parliament was a huge success, and I was overwhelmed by the generosity of people’s response to my maquette – “Rise up, women”. A big thank you to all those who came along to see the six competing maquettes. Thanks also to my special guests: my MP Caroline Lucas, Baroness Campbell of Surbiton and Diane Kingston OBE. Since Monday we have also had exciting events in Manchester: at HOME, the Manchester Council Chambers and the Town Hall. Now it’s time to vote online for your favourite maquette – it only takes a couple of minutes. You get a chance to view each of the shortlisted six maquettes before you click on your favourite and get a chance to say why you’ve chosen it. My proposal includes the Pankhurst Meeting Circle – below are some mock-ups. One Response to "“Rise up, women”: time to vote"